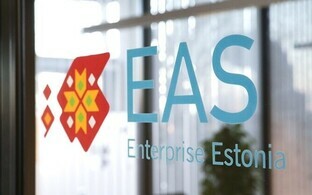 Enterpise Estonia, a body tasked with promoting business and entrepreneurship in Estonia, has rejected the idea of requiring A2 level proficiency in Estonian for those wishing to renew a temporary residence permit. This requirement has reportedly appeared in a draft bill being submitted at the Estonian Parliament (Riigikogu). According to Enterprise Estonia manager Alo Ivask, each year in Estonia a shortage of qualified labour causes a large number of investments in business effectively to be still-born. The introduction of a language requirement for temporary residents could exacerbate this, scaring off potential overseas specialists and causing Estonia to be less competitive in attracting talent than some of its neighbours. ''Estonian salaries are lower than those of the Nordic countries, and Estonia has a lower profile worldwide, so we need to make additional effort to attract foreign talent, including IT specialists, here instead of to other countries,'' Ivask said. According to Enterprise Estonia, similar restrictions do not apply to temporary residents in the EU states of Finland, Sweden, Denmark, Germany and the Netherlands. Enterprise Estonia 'Work In Estonia'' Program manager Kaidi-Kerli Kärner echoed these sentiments, pointing out they were never on the table during discussions held by the immigration working group addressing the issue, discussions which the organisation played an active part in for several months. In spite of differing opinions on what limits might be established on incoming specialists and on what grounds, the requirement wasn't included in the draft bill drawn up by the group either, she said. ''We were completely surprised when a paragraph was slotted into the draft bill. There was simply no need for the inclusion of such a restriction,'' she said. Kärner added that the language requirement had already been a necessary requirement for those seeking either long-term residency or citizenship, whilst noting a lack of justification in the draft document as to why this was not consistently applied across the board, ie. non-EU citizens were required to prove their language skills but EU citizens were not. ''EU citizens do not need to fulfil a language requirement because they do not need to apply for a temporary residence permit in order to work,'' she added. A draft law which has passed its first reading in the Estonian Parliament has changed the law on immigration limits, excluding top-level specialists from the calculation of the limit. A 'specialist' for the purposes of the bill constitutes a qualified overseas worker who an employer is paying at least twice the average gross salary in Estonia. At present there had been a barrier to such people arriving in Estonia due to their being included in immigration calculations. The draft bill also introduces a requirement of A2 Estonian for those who have been living in Estonia on a residence permit of at least five years in order to work, and who wish to extend or renew their permit. The draft bill also extends the maximum duration of what constitutes short term work to one year (from nine months). Enterprise Estonia has requested that the Riigikogu, via the Constitutional Affairs Committee, thoroughly consider amendments to the bill regarding this point. A2 level in the Common European Framework of Reference for Languages (CEF) lies at the lower end of the scale (which ranges from A1 to C2). A person at A2 level can amongst other things communicate in simple and routine tasks requiring a simple and direct exchange of information on familiar and routine matters.